Posted: June 22, 2014 2:00 a.m. 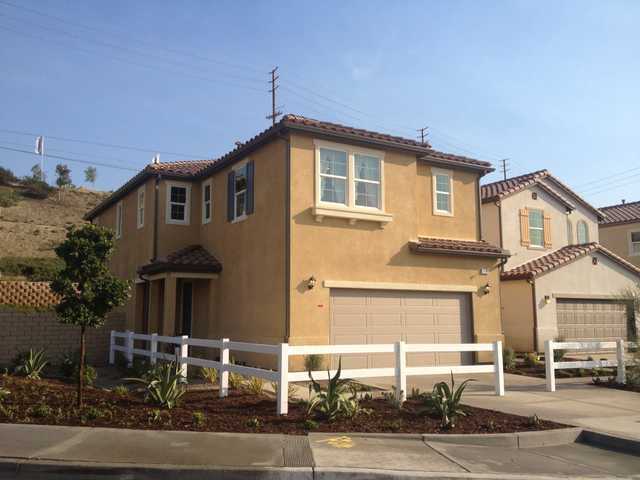 Updated: June 22, 2014 2:00 a.m.
Williams Homes last new home community in Santa Clarita, Valle Del Oro, opened in May 2013. Williams Homes of Santa Clarita has partnered with Presidio Residential Capital to build 29 single-family homes on 20 acres near Copper Hill Drive and Haskell Canyon Road. The local builder will be constructing homes on Phantom Trail - the street and tentative name of the project, said an executive with the builder. Construction is expected to begin in the spring of 2015, with the first homes going up for sale in November of next year. Homes should range in size from roughly 3,100 square feet to 3,900 square feet, said Keith Herren, chief development officer and executive vice president of Williams Homes. Presidio calls the project “ultimately a $25 million 82-acre community” including more than 70 acres of dedicated open space. Williams Homes also has a bigger new home community coming up even sooner in Canyon Country, off Soledad Canyon Road and Camp Plenty, that the builder is prepping the ground for now. “We’re grading the site for 137 homes and expect to start construct the model homes in August or September with a delivery date in the late fall or winter,” Herren said. That community is called The Trestles because homeowners will cross under a trestle or railroad bridge in the area to enter their neighborhood, he said. As for the Phantom Trail homes, those will be part of a private neighborhood park, creating an enclave with views of the surrounding area. The new homes will be on bigger-than-average lots, giving buyers the choice of selecting single-story homes, according to Presidio. “Williams Homes specializes in developing infill properties in Los Angeles County that are not mainstream opportunities for the big builders, and this particular property meets those requirements,” Herren said. The newest community will be added to the existing new home communities in Williams Homes portfolio, including four in Ventura County, two in Santa Barbara County, one in San Bernardino County, and eight in Los Angeles County – two of which are located in Santa Clarita. Phantom Trail will be the third Santa Clarita project for the builder. The 29 new Phantom Trail homes may generate up to $6.1 million in local income, 94 local jobs, and $638,000 in taxes and other revenue for local governments according to a white paper released by the National Association of Home Builder’s in 2009. “We chose this project because of the property’s location within a large master planned community,” said Paul Lucatuorto, principal with Presidio Residential Property. “It’s rare to find new homes on large lots with home prices starting in the $600,000s that are within commuting distance to Los Angeles employment centers,” he said. The area was annexed into the city of Santa Clarita in 2012. “We live and have our office in Santa Clarita so we’re always glad to be building here.” Herren said. Williams Homes is the general contractor for Phantom Trail. Phantom Terrace Associates is the seller, and Howard Hamlin is the broker.